INAUGURATION ADDRESS | Embassy of the Republic of Botswana in Washington, D.C.
INAUGURATION ADDRESS BY H.E. MR. MOKGWEETSI E.K. 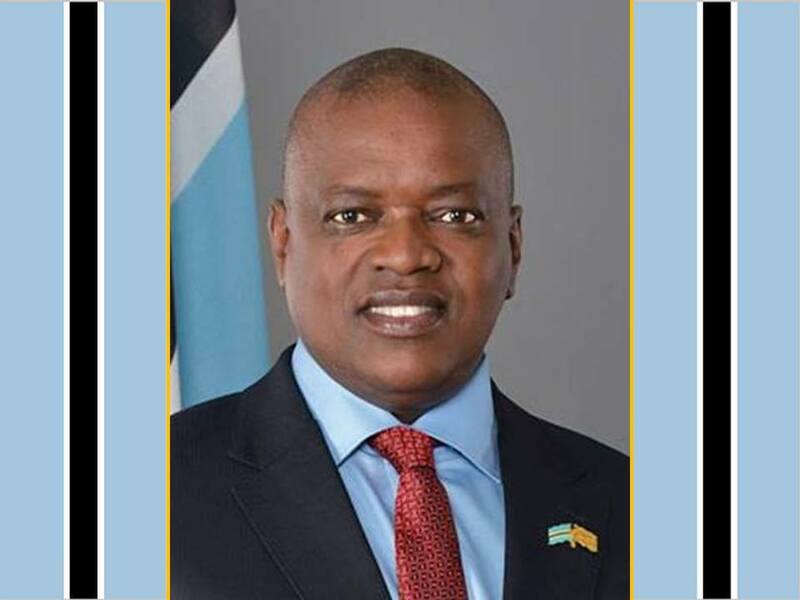 MASISI PRESIDENT OF THE REPUBLIC OF BOTSWANA SUNDAY 1ST APRIL 2018, NATIONAL ASSEMBLY. ...A very good morning to you all. 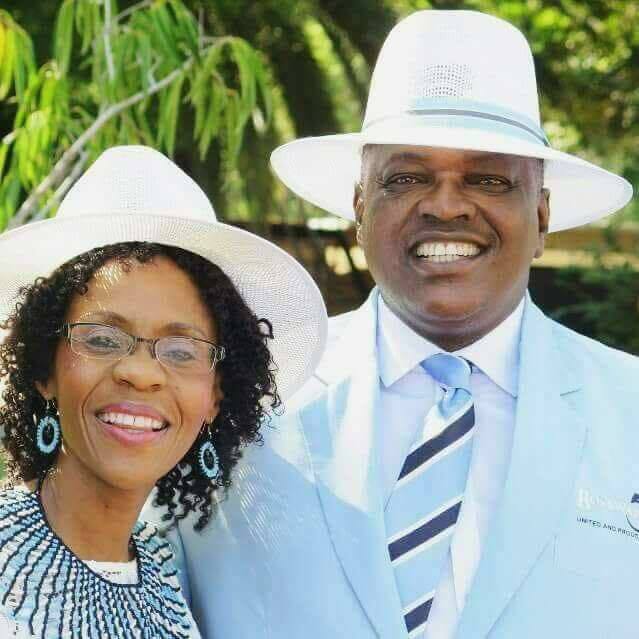 Batswana betsho, ke lo dumedisa ka Pula! 1. It is with a deep sense of humility that I accept the immense responsibility that has just been bestowed on me, and the trust and confidence thereby reposed, as the 5th President of our Republic and Nation of Botswana. In carrying out my duties my touch stone shall remain the oath I just made to uphold the Constitution, the rule of law, and maintenance of national unity, peace and prosperity. 2. Let me from the onset express my profound gratitude to His Excellency Former President Lt. General Dr. Seretse Khama Ian Khama, and His Excellency Former President Mr. Festus Gontebanye Mogae for the tremendous and selfless service they have rendered to this country and to the people of Botswana over the years. Departed they maybe, but the same thanks are extended to Sir Quett Ketumile Joni Masire and Sir Seretse Mmaphine Goitsebeng Khama - our founding fathers. Permit me in a very special way to extend the same gratitude to my late father Honourable Edison Setlhomo Keitshoketswe Masisi who was among the founding leaders of Botswana. I also pay my respects to my ninety (90) year old mother and proud to be the first President to be sworn in with their mother present to witness such. I love you mother. 3. Since Independence, Batswana have been uniquely blessed with capable and committed leaders who through their selfless patriotism have carried our nation forward through often difficult times. 4. As we begin the next chapter in our nation’s journey of democratic development we are fortunate to be able to build upon their contributions; a collective legacy of over a half century of uninterrupted peace and progress. 5. To paraphrase the words of the great physicist, Sir Isaac Newton, if our vision is to be clearer, if we are to advance further, it is because we are standing on the shoulders of giants. 6. Like the great men who have come before me, I shall also be ever mindful of the fact that visionary leadership cannot exist in isolation. It must rather emanate from, be embraced by and realised through the people. 7. Botswana is indeed fortunate to have had visionary leadership during its formative years, who were able to distinguish this nation from others, through their consistent adherence to shared values and principles, in particular, respect for human rights, democracy, the rule of law, and the spirit of consultation or therisanyo and Botho. 8. It is because of the peace and tranquillity that our leaders have sustained for so long that Batswana have continued to enjoy relative prosperity, buttressed by the prudent management of the resources of our country, for the benefit of all of its people. 9. The progress we have already achieved is evidence that we can and must do more to reach our goal of an inclusive society that ensures the material and social wellbeing of all our citizens. 10. We have just witnessed a smooth transfer of national leadership in accordance with our Constitution. This occasion symbolises the end of one era, and the beginning of another. 11. At this juncture, let me recognise and appreciate the immense contribution that my immediate predecessor, Lt. General Dr. Seretse Khama Ian Khama, has made to this country in improving the welfare of its people. 12. President Khama’s unwavering commitment to take our people out of poverty is second to none. His passion to ensure that Batswana enjoy a dignified life through various social and economic empowerment programmes such as Poverty Eradication, Youth Development Fund, Women Economic Empowerment, Livestock Management and Infrastructure Development commonly known as LIMID, Integrated Support Programme for Arable Agricultural Development also known as ISPAAD amongst others, is well documented. Your contribution to environmental conservation, promotion and development of sports and arts, and your regular and consistent interactions with ordinary Batswana is an enduring legacy that will stand the test of time. 13. To this end, I wish to express my sincere gratitude to you on behalf of Batswana Sir, as you have been a great source of inspiration to all of us. Allow me in the same breath to wish you a happy, restful and rewarding retirement. 14. Just like my predecessors, I stand to acknowledge that we are not yet where we wish to be as a nation. 15. We still seek to build a Botswana in which sustained development is underpinned by economic diversification. We shall not be satisfied until we have eradicated poverty and social exclusion in order to build a society that provides opportunity and dignity for all. 16. We are committed to a modern Botswana, that is not only open but able to openly compete with the rest of the world while maintaining our founding principles that have united this nation through difficult times: Democracy, Self-Reliance, Development, Unity and Botho still define us as a nation today. 17. As you all know, Botswana faces a myriad of challenges such as unemployment, poverty, crime, HIV and AIDS, alcohol and drug abuse, amongst others. Therefore, one of my top priorities as the President of this country will be to address the problem of unemployment especially amongst the young people who constitute the majority of our population. The young people, who make 60% of the population of this country, are the future leaders and therefore investing in them is building the bridge to the future. 18. The realisation of the demographic dividend is of paramount and strategic importance since the success of our youth is the only guarantee of the long term economic prospects of Botswana. It is imperative therefore, for Government to redouble its effort to optimise the participation of our youthful population in the economy of this country. 19. In order to achieve this mammoth task, Government will prioritise the implementation of a combination of strategies required to stimulate accelerated economic growth. These practical and realistic strategies will be implemented as a matter of urgency. • Devising smarter ways of tackling our poor education attainment at every level and further, ensuring we realise on improved return on investment in the education sector in order to be competitive. • Continuing with measures to ensure the Ease of Doing Business, for foreign and domestic investors alike. 21. The Economic Diversification Drive, also known as EDD, is an important strategy that is aimed at giving Batswana an opportunity to set up industries to empower themselves and, in turn, to create the much needed employment. 22. In order to give concrete effect to our economic diversification aspirations, Government will prioritise the implementation of Cluster Development across various sectors, particularly the prioritized sectors of diamond beneficiation, tourism, beef, mining and financial services. Government will also expedite the implementation of the Special Economic Zones which will contribute immensely to the socio economic development of this country. 23. To this end, my government will particularly intensify its efforts to revitalise the economy of the SPEDU region to effectively respond to the closure and liquidation of BCL. 24. In this respect, the partnership between government and the private sector must be strengthened, consolidated and intensified to propel this country to greater heights in terms of economic stimulation, job creation and sustainable economic growth. In this context, the private sector is therefore expected to step forward and take the lead in catalysing economic activity and sustainable job creation while government plays the facilitative role. This government will be more facilitating and more demanding of the private sector to play true and fair. Our resolve to ensure fairness and justice should not be misconstrued to mean laxity and abdication. 25. Botswana will intensify its efforts to unlock market and business opportunities for our industries presented in global trade through agreements such as SADC Free Trade Area, Africa’s Continental Free Trade Area, AGOA, SADC/EU Economic Partnership Agreement, the World Trade Organisation Trade Facilitation Agreement, and the bilateral agreements we have with other countries and development partners. We will step up through a combined use of our bilateral and multilateral relations, immigration, investment policies and technocratic applications. 26. Government will also continue to invest in infrastructural development projects across various sectors including information and communications technology (ICT), water, energy, transport and road networks, to create an enabling environment for commerce and industry, as well as to stimulate the economy. 27. In implementing these projects, our guiding document will be the National Vision 2036 which seeks to achieve Prosperity for All. Government will ensure that the National Transformation Strategy is achieved through implementation of our National Development Plans. 28. Our National Vision, for which we happily appointed former President Lt. General Dr. Seretse Khama Ian Khama as its Champion is aligned to the 2030 United Nations Agenda on Sustainable Development, and Africa’s Agenda 2063. It will ensure that we pursue our national goals and aspirations in accordance with global and regional development goals. 29. In line with Vision 2036, investment in research, science, technology and innovation will be prioritised to enable our transformation into a knowledge based economy. To this end, I will ensure that the transformation of education and training, through the Human Resource Development Strategy of 2009, receives all the necessary support that is required in order to ensure that education meets the needs of industry. 30. Furthermore, government is currently implementing the education sector strategic plan, 2015-2020 which is designed to transform education in this country. Part of the reforms is to introduce pre-primary education as well as expand schools facilities such as classrooms, teachers quarters and build new primary and secondary schools throughout the country to respond to the growing population of our towns, villages and settlements. In addition, my government will continue to focus and intensify the maintenance of the existing schools facilities to ensure enabling environment for effective delivery of the education, learning and training programmes. My government will also intervene as necessary, to cause the inclusion of new primary and secondary schools in the current NDP11 as per the dictates of our population dynamics. 31. All these efforts are meant to improve the quality of our education system as well as ensure universal access to pre-primary, primary and secondary education. My government will also continue to intensify and sharpen teacher training, re-training and retooling to build their capacity to adapt to the ever-changing education environment especially in the areas of information, communication and technology. 32. The agricultural sector, through Government funded programmes such as the Integrated Support Programme for Arable Agricultural Development (ISPAAD) and the Livestock Management and Infrastructure Development (LIMID) has grown over the years. 33. This has significantly improved agricultural output. To this end, I would like to assure you that we will continue to strive for and intensify the commercialisation of the agricultural sector, in order to contribute to economic growth, diversification and the achievement of food security at household and national levels. We will in the next financial year, start an aggressive programme of land use intensification while protecting the inalienable rights of land holders. 34. With regard to the tourism sector which has potential to significantly contribute to the growth and diversification of the economy of this country, we will continue to monitor adherence to the Tourism Regulations of 1996 to accommodate the reservation of some license category for our citizens which will subsequently increase their participation in tourism. This government will additionally rejuvenate capacity of citizens to participate more meaningfully in this sector. Steps will be taken to ensure that game farming as an enterprise is promoted to be attractive and profitable. 35. In the health sector, alcohol and drug abuse are major contributors to crime, teenage pregnancy, and sexually transmitted diseases, including HIV and AIDS. It also contributes to the failure of some patients to adhere to their Anti-Retroviral and Tuberculosis treatment. However, Government will continue the HIV and AIDS interventions in the combination of treatment, care and support. A rejuvenated attention on the major determinants of our national health practices including the manner of response to HIV and AIDS will be given. This is so because our indicators point to significant gaps in our internal efficiency. 36. To facilitate better land management, the Botswana Land Policy was adopted in 2015 to protect and promote land allocation through the establishment of an up to date land information management system. 37. This is so because the management and use of land is of paramount importance in determining the economic fortunes of the country. 38. Therefore, Government will accelerate the function of spatial planning and access to land in line with the National Spatial Plan 2036 in order to give meaning to the aspirations of Batswana, especially the youth. In this respect, Government will continue to give priority to the Youth when allocating land for agriculture and business purposes. 39. Botswana prides itself in upholding the rule of law, good governance and respect for human rights, and will continue to do so. This is possible because Botswana’s democratic tradition is based and founded on the principle of separation of powers between the Executive, the Judiciary and the Legislature. 40. In this context, Botswana has one of the most professional public service which is also neutral and apolitical. This is a unique identity for Botswana that gives the country a competitive advantage in areas of integrity and ethical conduct. We pride ourselves in our untainted commitment to this ideal which is a source of inspiration and hope to all of us. 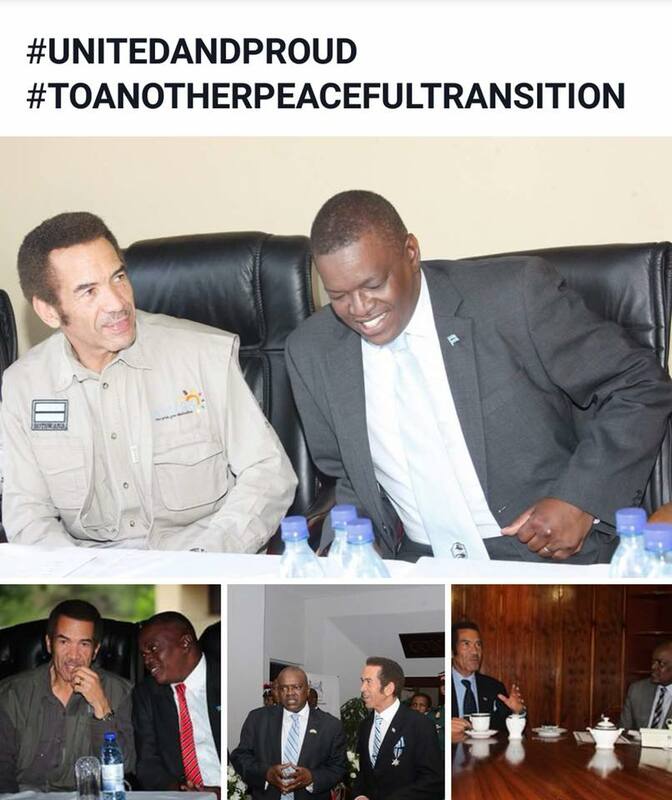 The narrative and reality that Botswana is peaceful and stable is not and should not be seen in isolation to and of our daily work to make it so. I wish to implore every citizen to cherish and jealously guard this noble ideal which ideal allows us to shine as a beacon and example of hope, stability peace and tranquillity as we do today and now through this very seamless transition of political power from a retiring head of state to a new one predictably known in advance as per constitutional dictate. I therefore urge all of you to be vigilant in order to maintain peace and security that this country has enjoyed for more than five decades. 41. We remain committed to fighting corruption, in order to safeguard the hopes and dreams of all Batswana for current and future generations. Therefore, it is incumbent upon us to continue to strengthen our oversight institutions, and exact the full might of the law to ensure the fight against corruption in all its forms and manifestations is won. 42. Despite its small size, Botswana continues to play an important role in the promotion of global issues such as respect for human rights, democracy, good governance, the rule of law, as well as the maintenance of international peace and security. 43. We will continue to ensure that the conduct of our foreign relations contributes to national development and the improvement of the living standards of our people. 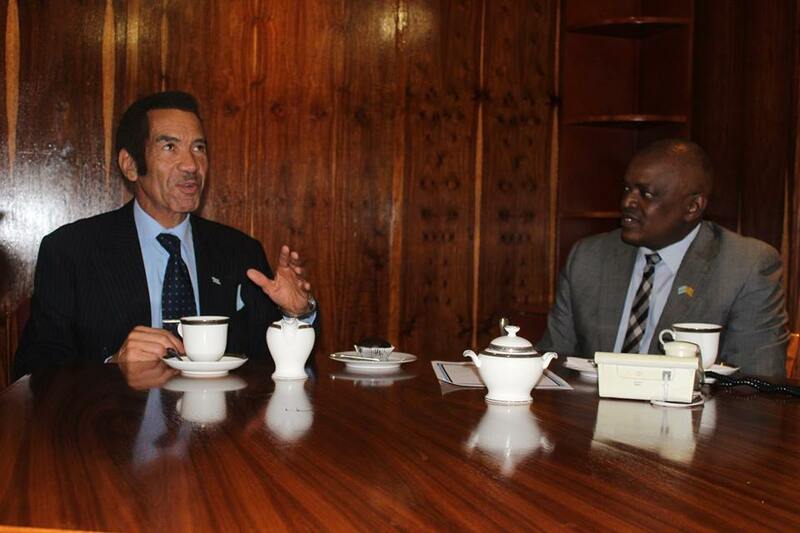 Our relations with other countries will be enhanced for the benefit of Botswana and its economy. 44. We will also continue to contribute to regional efforts aimed at consolidating democracy, peace and security in the SADC region and beyond. My new cabinet and I, which I will soon put together will work very hard for and with you for a better Botswana. I will do my utmost to continually grow confidence in and of governance through a combination of new legislation, ethical codes and demonstrable and efficacious behaviours. To this end, expect specific legislation on declaration of assets and liabilities soon. 45. Let me take this opportunity to express our gratitude to members of the international community, as represented by the Diplomatic Corps, for their invaluable assistance to Botswana over the years. 46. In conclusion, I would like to thank Members of the Executive, the Legislature and the Judiciary for providing excellent service to the people of this country and being an example to the world. In this respect, the sanctity of these institutions which are provided for in the constitution cannot be overemphasized. Furthermore, my special thanks go to the civil service whose contribution to the socio economic development of this country is commendable. 47. Similarly, I would like to thank everyone, citizens and non citizens alike, for their enormous contribution to the development of this country. God bless Botswana, “A modimo a le segofatse”. 48. I thank you. PULA!